The variegated kiwi vine - Actinidia kolomikta is one of the more unusual climbing plants that you can expect to find on display at your local plant retailer. Unlike most ornamental climbers its flowers are rather insignificant at no more than 1/2 inch across, but this isn't really a problem because Actinidia kolomikta produces some of the most beautiful foliage that money can buy! It is a large plant capable of growing up to between 25-30 metres and as a member of the kiwi family it will produce delicious, kiwi fruit-like berries. The fruits themselves are relatively small with each fruit weighing no more than 2-5 grams. 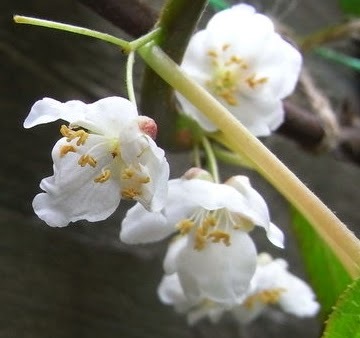 The flowers are white, slightly fragrant and borne in June. 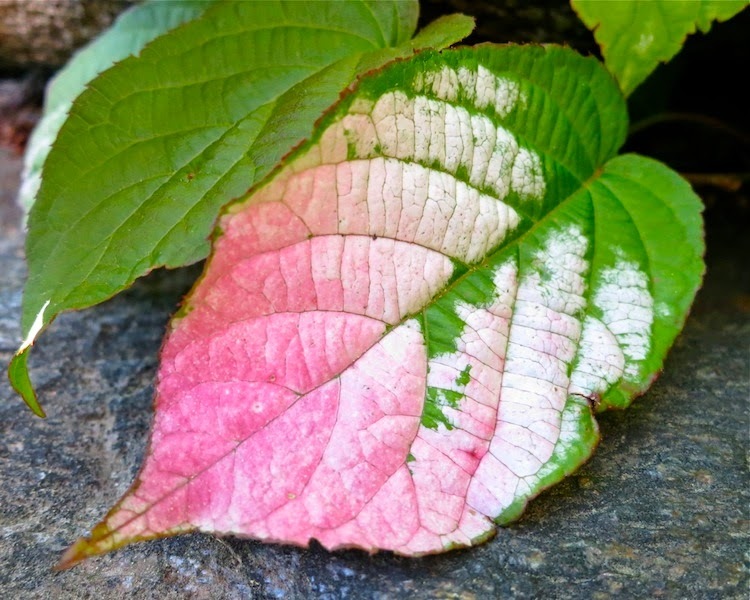 The leaves start of green when they first appear in the spring, but as the season progresses they develop the very striking yet random pink and white variegation on the terminal half of the leaf. However not all of the leaves with develop this attractive and sought after colouration. Native to temperate mixed forests of the Russian Far East, Korea, Japan and China Actinidia kolomikta is the hardiest of all the species within the genus Actinidia, and despite its exotic looks is capable to tolerating temperatures as low as −40 °Celsius. However, it can be somewhat susceptible to late spring frosts once the new seasons growth has emerged. Actinidia kolomikta will grow well in any soil except that which is chalky, lacking in humus or poorly drained. 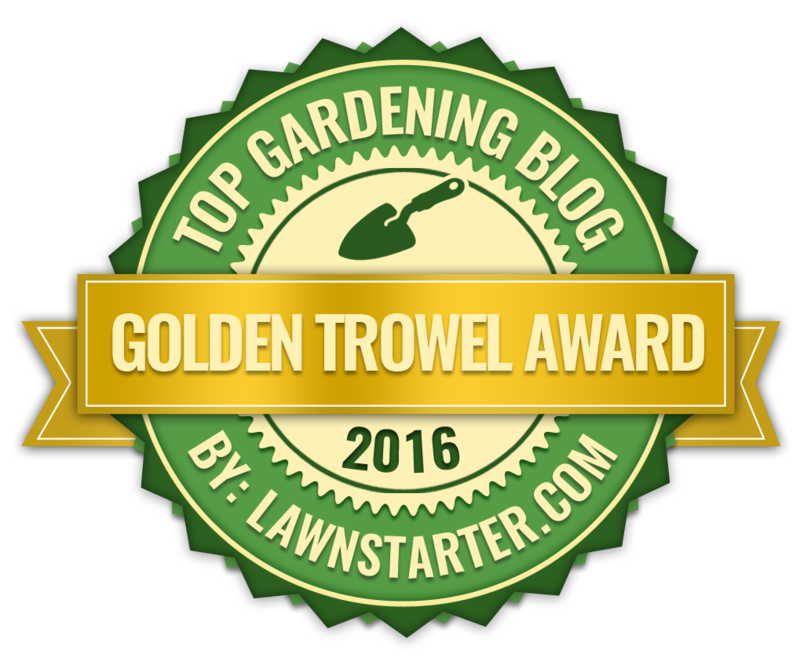 They will do best in a rich loam in a sunny or partly shaded position. It will need some initial training on wall supports but once it become established it will become self supporting. Strangely, cat are extremely attracted to Actinidia kolomikta and may damage the stems which in extreme cases will kill the plants. The plant was introduced to the gardens of Europe by Charles Maries who discovered it in 1878 on the northern Japanese island of Hokkaido. 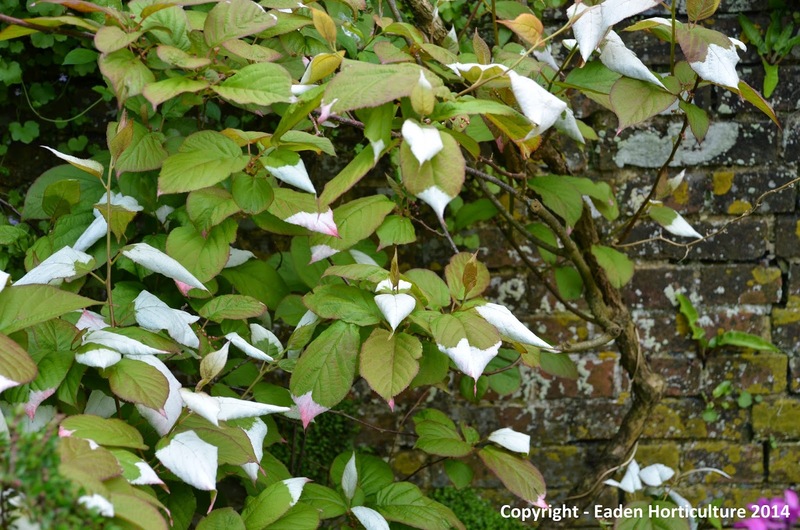 Actinidia kolomikta received its Award of Garden Merit (AGM) in from the Royal Horticultural Society in 1984.